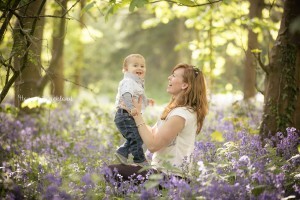 I love the countryside and love my job working as a Gloucestershire based child and family portrait photographer. Incorporating the beauty of the countryside into photoshoots enables me to produce images which can be treasured for a lifetime. I like to give my clients advice and suggestions on what to wear during their photoshoot. Clothing can really enhance a beautiful session. Clothes that compliment the surroundings and other people in the session take your images to that extra level. I have created Pinterest boards which match with the seasons throughout the year. I offer a selection of styles and colours which compliment the time of year, settings and floral backgrounds with which I love to work. In spring, we are surrounded by fresh spring greens, blues and yellows. Also blossom, which delivers pretty whites and pastel pinks. 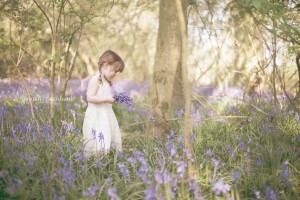 I am already taking bookings for bluebell, apple blossom and daffodil photoshoots. So what should you wear to compliment these colours? 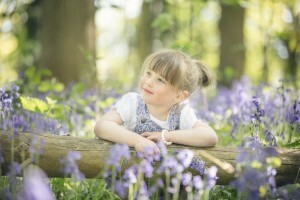 Bluebells tend to grow in woodlands which can be dark and often mottled with sunlight. For this reason I would suggest light neutral coloured clothing. 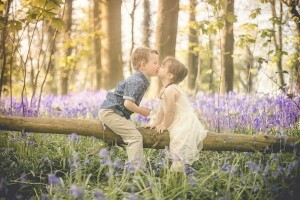 Pastel colours such as greys, creams, soft pinks, iliac and baby blues work particularly well against the strong greens and vibrant purples and blues of the bluebells. 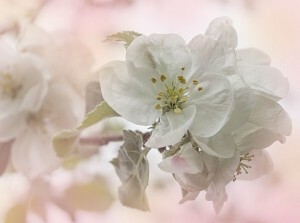 Apple blossom contains delicate and beautiful pinks and whites. To keep a natural, pretty, light and airy feel I suggest colours that work best are neutrals. Colours such as whites, creams, greys, light pinks, peaches and pale blues work best. Due to the delicate nature of blossom, lace and floaty dresses, cotton shirts and linen suits also add that extra touch to the images.